Grab your boards, Great Lakes surfers! 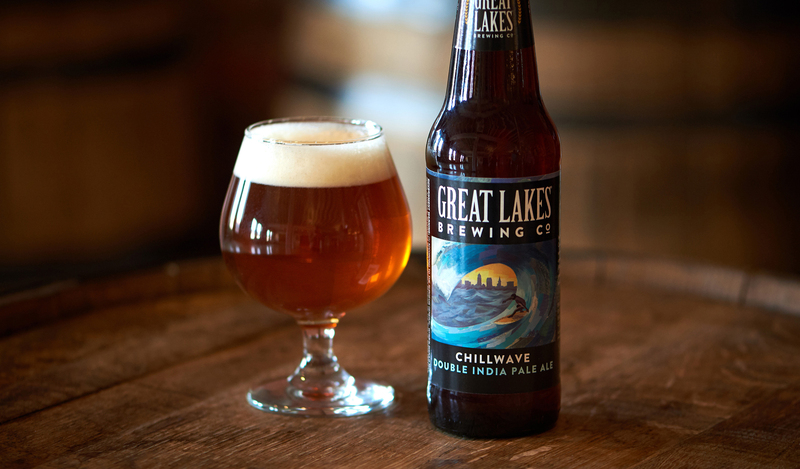 Chillwave Double IPA is almost here! Inspired by the North Coast’s dedicated (and sometimes chilly) surf community, our Double IPA takes on big hop flavors without losing its balance. Bright tropical fruit flavors swell on the palate as sweet malt hangs ten on the finish. Wax up, hop heads! This seasonal favorite hits our shoreline only once a year. GLBC Brewpub tapping: Available now! Fans may recognize the Cleveland skyline in the background of Chillwave’s artwork. But not everyone notices the surfer’s board— patterned with hops and painted orange, signifying the beer’s golden color and sunny flavor, no matter the conditions outside. Follow us on Facebook, Twitter, and Instagram for more Chillwave updates.